Want to see Balinese underwater diversity? Join us for 3 days with 6 dives on our most popular dive package with dives in Padang Bai, Tulamben & Manta Point. 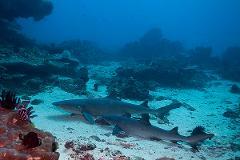 You are likely to see sharks, turtles, mantas, a wreck and great coral with macro.